As part of the deal, Genetech will gain access to the entirety of Jecure’s preclinical portfolio of NLRP3 inhibitors, known by their full name as nucleotide-binding oligomerisation (NOD)-like receptor family Pyrin domain containing protein 3 inhibitors. It is thought that Roche has made the move to develop therapies for conditions such as non-alcoholic steatohepatitis (NASH), inflammatory bowel disease and liver fibrosis, and muscle in on a share of the market with Pfizer, Novartis and Gilead. 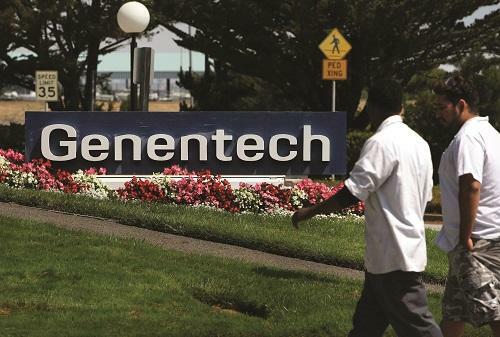 “Genentech has an extensive history of translating pioneering science into transformative medicines. The acquisition of Jecure provides a unique opportunity to bring novel NLRP3 inhibitors to patients,” commented Dr Jeffrey A Stafford, President and CEO of Jecure.